Shade is a wonderful opportunity for gardeners to play with the color, shapes, and textures of foliage, which plays an important role in creating cool, lush tapestries along woodland walks and under trees. 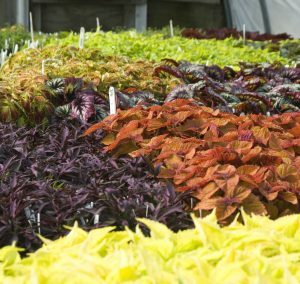 When selecting plants, consider your site first. While few plants will grow in deep shade, many tolerate — or require — low light and partial shade. Surprisingly, sun-lovers like Daylilies and Geraniums perform well in light shade; their flowers may be sparser but they continue for a longer time. We offer a wide variety of perennials for shade like this Tricyrtis hirta Miyazaki Hybrids. Click the image above to browse our offering. Check soil composition and drainage. Be sure to include a generous amount of humus-rich organic material, to supply nutrients and help the soil retain moisture. Soil moisture is an important consideration. Astilbes and Primula, for example, prefer moist soil, while Hostas and Epimedium do well in dry situations. All Plants appreciate regular watering, particularly during their first year while their roots establish — about an inch of water each week. To help minimize moisture loss and moderate soil temperature, cover the soil around new plants with organic mulch. When choosing plants that will thrive in your location, focus on foliage contrasts because flowers are fleeting. Look for plants with distinctive leaf shapes and colors, including variegation, and combine smaller-leaved linear plants with the bigger, bolder forms. One final point — plan for a succession of bloom, starting with early spring bulbs followed by plants with spring, summer, and fall flowers. Annuals are a big help here. Consider adding colorful annuals for shade. We have over 150 to choose from this spring. Click the image above to browse. Now that you have created this beautiful shady respite from summer’s heat, consider making it destination. Welcome admirers with a pretty bench or other garden seating. Gardeners know a great deal about patience, and this spring, we’ve had ours tested by Mother Nature’s caprices. For the second year in a row, the Northeast has had a cool spring, and this year’s is a bit late. Our above average temperatures in February were followed by below average numbers in March. The better news for gardeners – and their plants – is that April, true to its billing, arrived with plenty of showers. As of this writing, several soaking rains have helped offset the drought conditions that became severe in some parts of the state and other areas of New England last summer. Ups and downs in the weather cycle serve to remind all of us, no matter where we live, that we garden with Nature. Wise gardeners take this into account when choosing plants and tending them. Many are paying closer attention to native varieties in the belief that these plants may be better equipped to handle extremes of weather. They also play a role in supporting pollinators and wildlife. At the farm this spring, our head gardener Cheryl Whalen will be creating a garden reserved exclusively for native plants, shrubs and trees. Cheryl spent part of the winter doing research, identifying true natives, and winnowing down her plant list. Her selections will go into the ground soon, and we’ll watch them with interest over time to see how they develop. With Cheryl’s help and insights, we’ll be writing a lot more on this topic soon. Clivia miniata ‘Longwood Sunrise’ is one of the stunning and distinctive releases from the Longwood Gardens Clivia breeding program. This plant took decades to develop, and it was well worth the wait! For another example of patience – and its remarkable rewards, we turn to Longwood Garden in Kennett Square, PA. Last year at holiday time, we were pleased to introduce to you the first named Clivia released from Longwood’s breeding program. Clivia miniata ‘Longwood Debutante’ is a yellow flowering beauty that was roughly 35 years in the making. That’s 35 years of patient hybridizing and cross-breeding that was begun in 1986 by the founder of Longwood’s breeding program, Dr. Robert Armstrong. Longwood subsequently released four more miniata varieties, ‘Longwood Sunrise,’ ‘Longwood Fireworks,’ ‘Longwood Chimes,’ and ‘Longwood Sunset.’ Each of these plants produces blossoms that are unique and exceptional. We are honored to be the sole mail-order source for these plants, which are otherwise available only at Longwood. 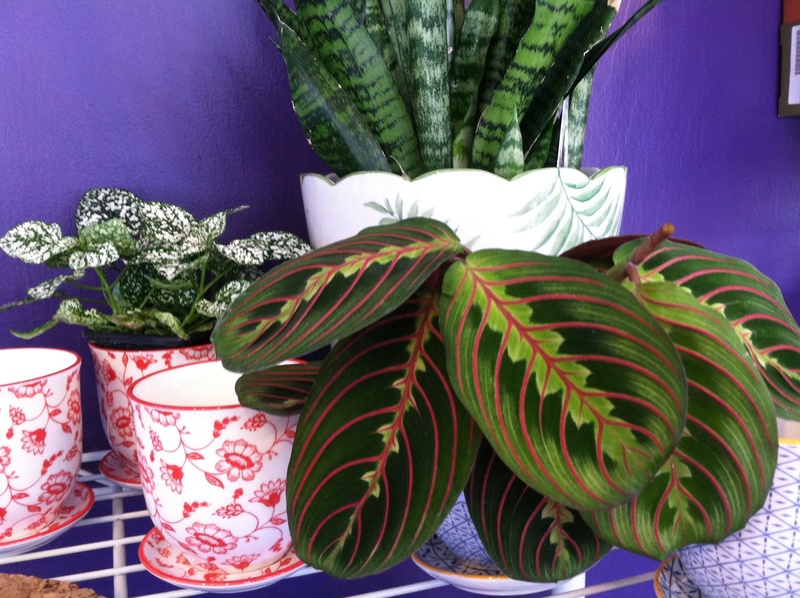 When we introduced these plants via our emails and on social media in late winter, there was what some of our younger staff members call “blow back” about the prices, which are $300 for ‘Sunrise’ and ‘Fireworks,’ and $900 for ‘Chimes’ and ‘Sunset.’ How could a single houseplant cost that much? Imagine first the cost of keeping a greenhouse going summer and winter for more than 35 years. Then add to it the cost of the staff required to carefully cultivate and tend these plants. 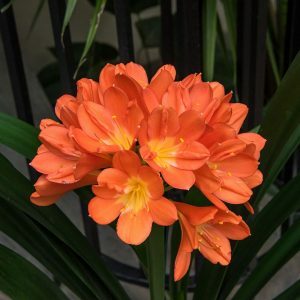 Factor in, too, the slow growth of Clivia, and the fact that ‘Chimes’ and ‘Sunset’ are excruciatingly slow to produce the offsets that become new plants. Viewed in that context, we hope the pricing makes a good deal more sense. Experienced gardeners know the value of these plants and the rewards that come from investing in rare, long-lived treasures whose beauty justifies the cost incurred by the process of creation. 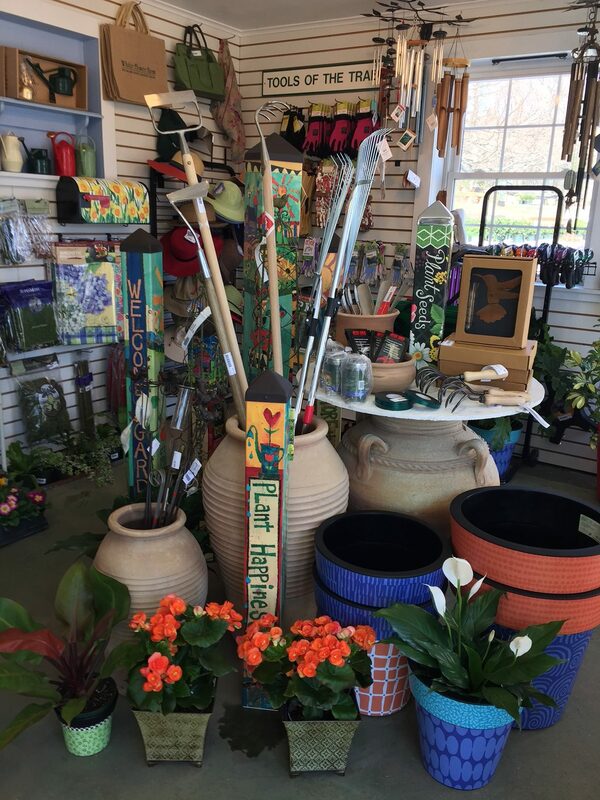 A variety of container pots, professional-grade garden tools, Dahlia tubers, houseplants, spring-blooming shrubs and trees, and early blooming perennials are just some of what’s in stock at the store. We look forward to seeing you! If you missed our recent blog post, the White Flower Farm Store is open for the season. Inside, it’s stocked with the top quality garden tools and supplies we use here at the farm. 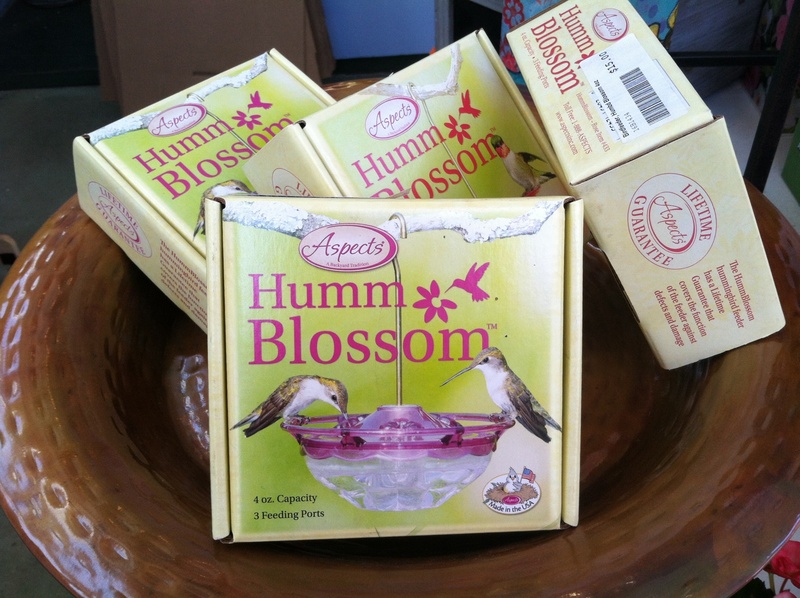 We’re also offering birdhouses, hummingbird feeders, garden art objects, a wide variety of houseplants, and many great gifts for Easter, Mother’s Day and other spring celebrations. Plants from our greenhouses are starting to fill the sales yard, and you’ll find a broad selection of potted annuals and perennials, plus shrubs and trees, a selection of containers, including our Cretan pots in a wide range of sizes and styles, and garden ornaments from benches to birdbaths. Our staff members will be delighted, as always, to help you choose plants for your garden and to answer any questions you may have. If you’d like to have your plants delivered, we’re pleased to offer this service for a nominal fee. We’re delighted to be hosting out 12th Annual Great Tomato Celebration Friday through Sunday, May 19–21. Hours are 9 a.m. to 5 p.m. daily. 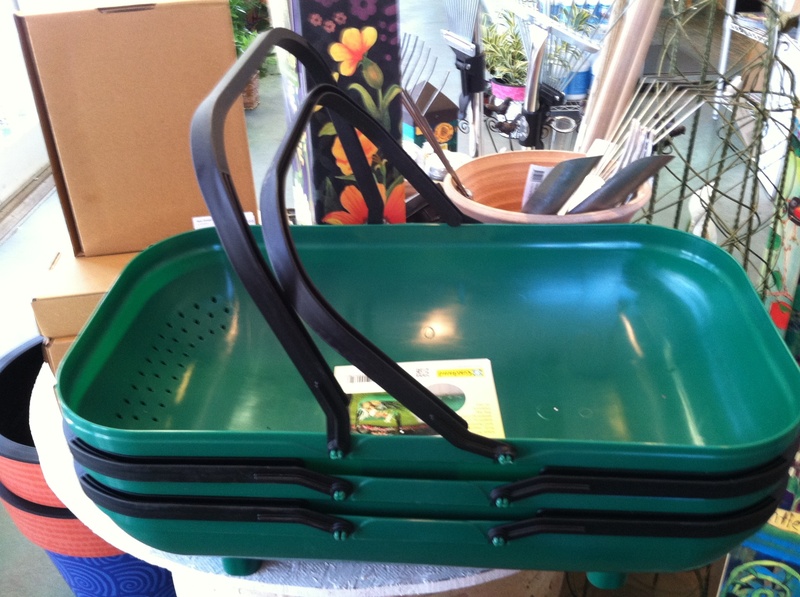 In addition to more than 130 varieties of Tomatoes, we offer vegetable and herb plants, and garden supplies. Plenty of staff members will be on hand to answer questions. For those who grow their own vegetables, we’re delighted to announce that our 12th Annual Great Tomato Celebration will be held May 19 through 21 at the farm in Morris. This year, we’ll be offering over 130 varieties of tomato seedlings, including treasured heirlooms and the top-rated modern hybrids (all non-GMO), along with everything else you’ll need for this year’s kitchen garden. Joining us on May 19th is tomato expert Craig LeHoullier, tomato advisor for Seed Savers Exchange and author of Epic Tomatoes, winner of the Garden Writers Gold Award for best book in 2016. Craig will be speaking and answering questions at 10:30 a.m. and 1:30 p.m. on May 19th only. Signed copies of his book will be available for sale. For a list of available Tomato varieties (subject to change) and more information on the event, please visit WhiteFlowerFarm.com/tomato-celebration. It won’t be long before our display gardens are full of spring flowering bulbs. Come stroll the grounds. It’s a great chance to see a wide variety of Daffodils, Tulips and other spring flowers in bloom. In addition to the Great Tomato Celebration, our staff at the store has put together a calendar of special events – from popular Annual Container Planting Make & Take Events, to Grow It, Cook It, Eat It workshops, and lecture/discussions on planting and caring for trees, and roses. Our annual Open House will be held at the farm on Saturday, June 17th, and we invite you to join us for iced tea and tea sandwiches served on the lawn by members of our family. Our horticulture staff has been hard at work in the greenhouses, growing a dazzling array of annuals and perennials. As the weather warms, we’ll be bringing tractor-loads down to the store. While our hills were covered in snow, our greenhouse staff members were busy tending to what seem like indoor acres of annuals and perennials. The plants have been coming along beautifully, and as the weather warms, we’re shipping these plants to gardeners all over the country and transporting tractor-loads to the store. We hope that as you get your spring garden going, you keep us in mind for plants, bulbs, gear and supplies, and that you visit our website for helpful information, inspiration and ideas. We’ve been helping gardeners of all stripes succeed for 66 years, and we’re mighty pleased to keep at it. The Store Is Open for the Season! 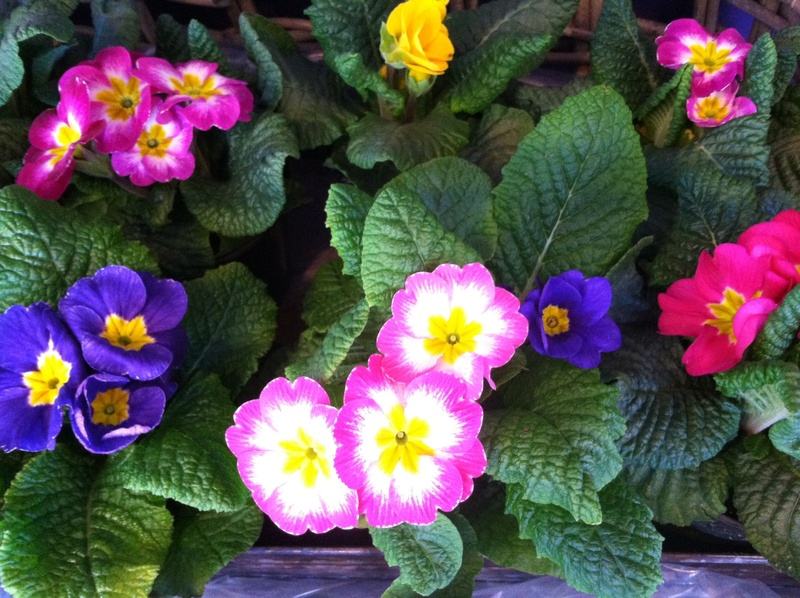 Welcome spring with a visit to the White Flower Farm Store! We’re open for the season and stocked with plants, supplies, gifts, and gear to get you going and growing. While the weather is not quite warm enough to begin gardening outdoors, we have plenty to get you started inside the house. We offer a wide variety of Dahlia tubers, which can be potted up and started indoors then transplanted into the garden as the spring temperatures settle down – generally sometime in the middle of May in our part of the world. To bring color and life to your indoor spaces or dress up the house for Easter and other spring celebrations, we have a selection of beautiful, easy care houseplants – from cheerful primroses and beguiling, low maintenance Tillandsia (Air Plants) to fabulous foliage plants including Croton, Polka Dot plants, Song of India plants and variegated ivy. Our Tools of the Trade section features the top quality, professional grade tools we use every day at the farm including trowels, forks, pruners, hoes and spades. We also include a selection of hats, gloves, and caddies for carrying tools and harvesting vegetables. Our array of gift items ranges from hummingbird feeders and imperial vases to stationery, compact field guides, and California-made botanical lotions and body products. Store staff made it a priority again this year to bring in items that are made in the United States. The store is filled with the vibrant and playful colors of decorative art poles, magnetic mailbox covers, and art planters that are all made in America. The planters come in an array of playful colors and designs created by artists including Mary Engelbreit. The frost-proof, fade-proof pots are equipped with raised bottoms for drainage and wheels on the bottom that make it easy to move them around on the patio or indoors. Choose one as a great gift for Mother’s Day or buy a group to display outdoors all season long. A variety of birdhouses include new styles made using reclaimed wood. As springtime makes its somewhat tardy appearance here in the Northeast, the outdoor spaces surrounding the store are slowly but surely being populated with flowering shrubs and trees. Red-flowering Andromeda shrubs blossom outside the store in Morris. 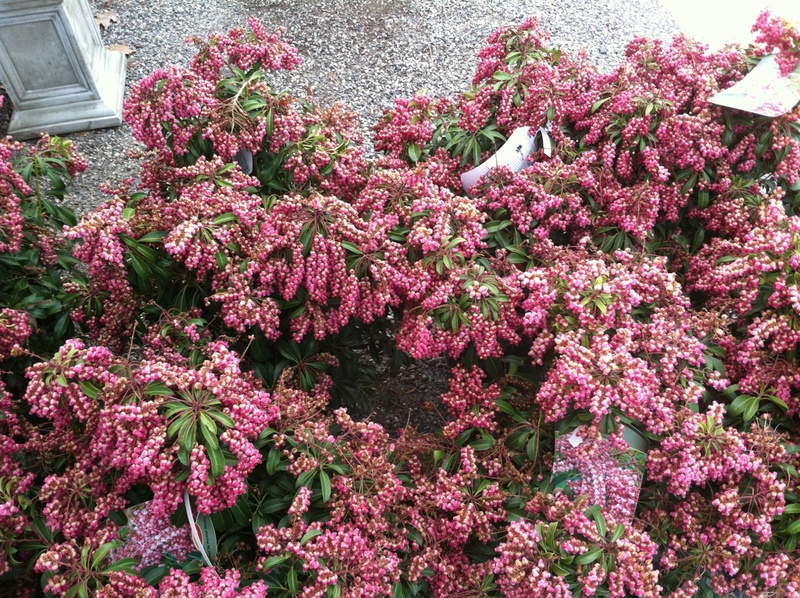 There are lovely red-flowering Andromeda, and yellow-flowering forsythia bushes, and as we were writing this, a cartload of hydrangea standards arrived to join the neat rows of evergreen shrubs and ornamental trees that are waiting for new homes. Cold hardy perennials are also in stock with more arriving daily. You’ll find Hellebores, Jacob’s Ladder, Dianthus (Pinks), Allium, Columbine, Delosperma, shown above, and many more. 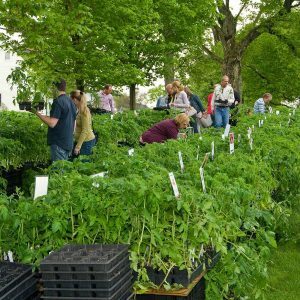 This season’s Calendar is crowded with activities including our 12th Annual Great Tomato Festival on May 19-21, and our 3rd Annual Container Planting Make & Take Event. For the complete list, see our Lectures & Events listing. 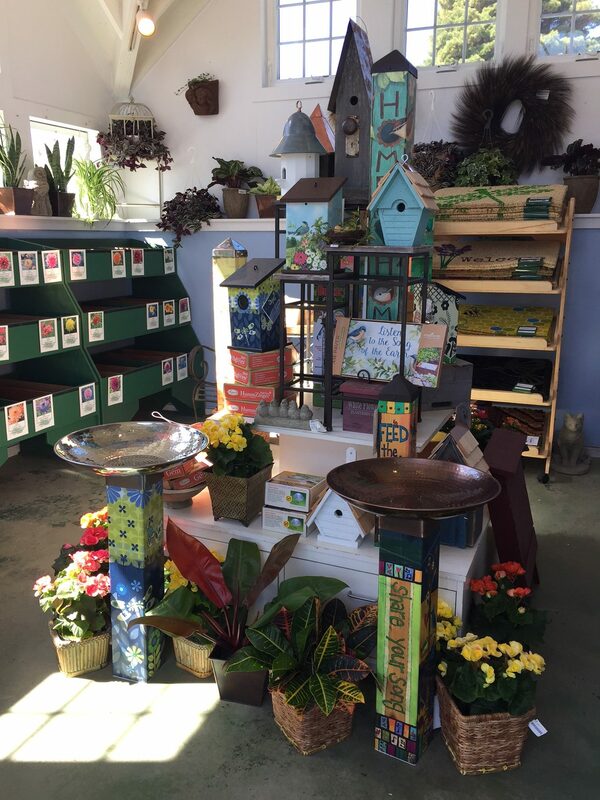 Decorative welcome mats and bird baths, a variety of birdhouses including some made using reclaimed wood, a range of houseplants including Begonias, Sansevieria, and Croton, and Dahlia tubers all await visitors to the store. In addition to the great plants and other items you’ll find at the store, there’s one attraction that always makes any visit worthwhile, and that is our staff. 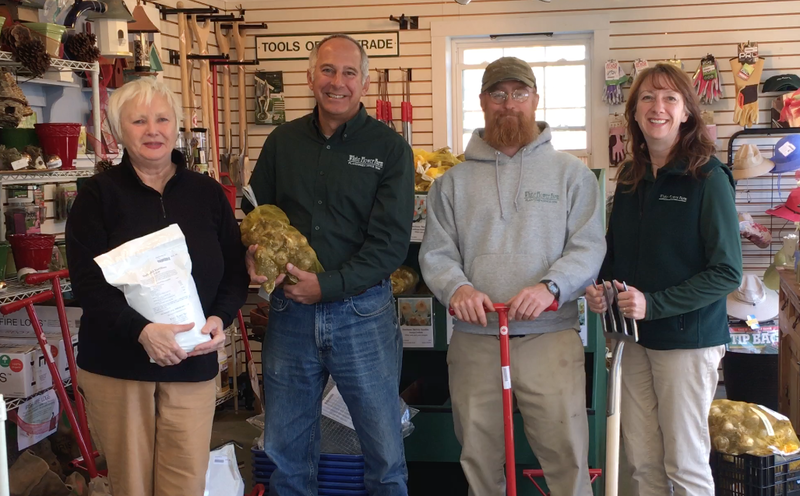 Experienced gardeners all, they are friendly and knowledgeable, and they delight in sharing what they know and helping customers succeed in their own gardens. They can answer questions, solve problems, provide landscape solutions, and even help carry plants and supplies to your car. (A delivery service is also available. Just ask!) So bring your questions and cell phone photos of your garden. 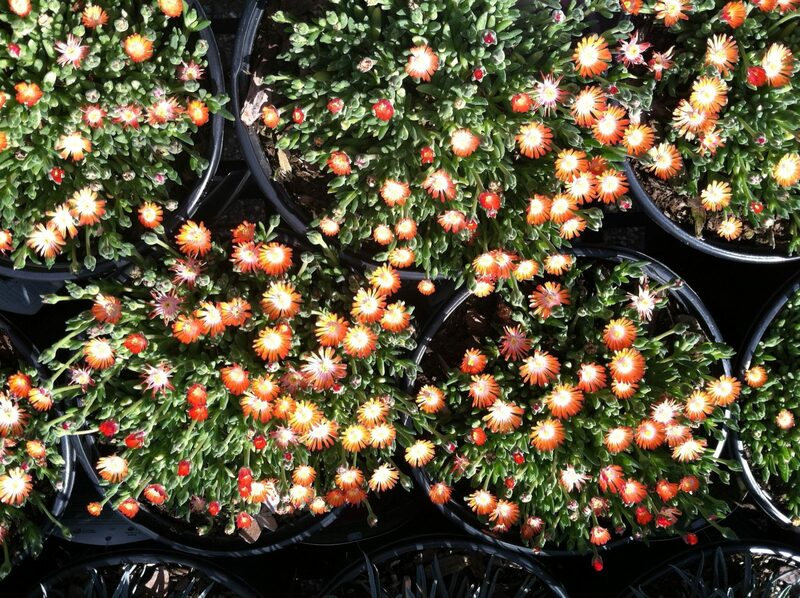 Our staff will delight in helping you create the garden of your dreams. 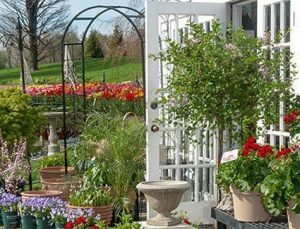 The White Flower Farm Store and display gardens are at 167 Litchfield Road in Morris, CT. Our hours are 9 a.m. to 5:30 p.m. daily during the gardening season. If you’re looking for a particular item, please call before driving any distance to verify that we have it in stock. Our inventory is constantly changing. Phone 860-567-8789. We look forward to seeing you! 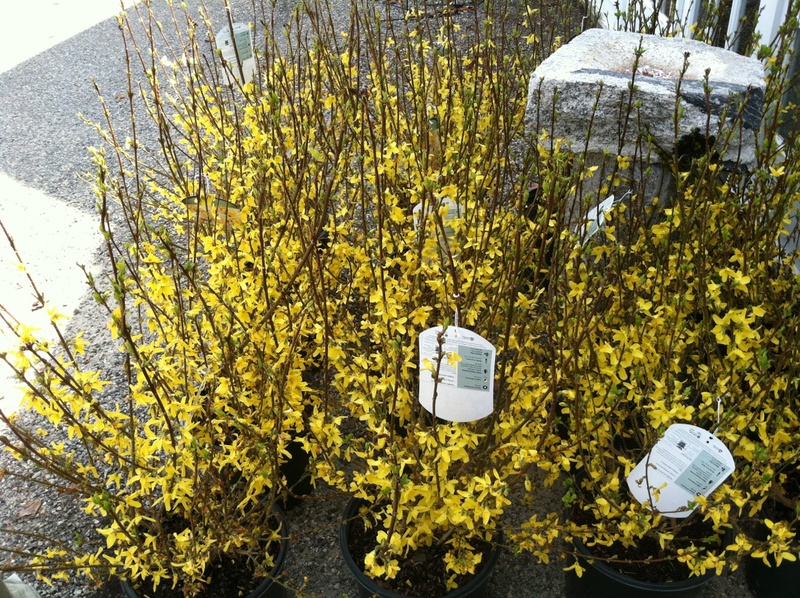 Yellow-flowering forsythia shrubs await their new homes. Please note: The Store will close at 2 p.m. on Easter Sunday, April 16th.